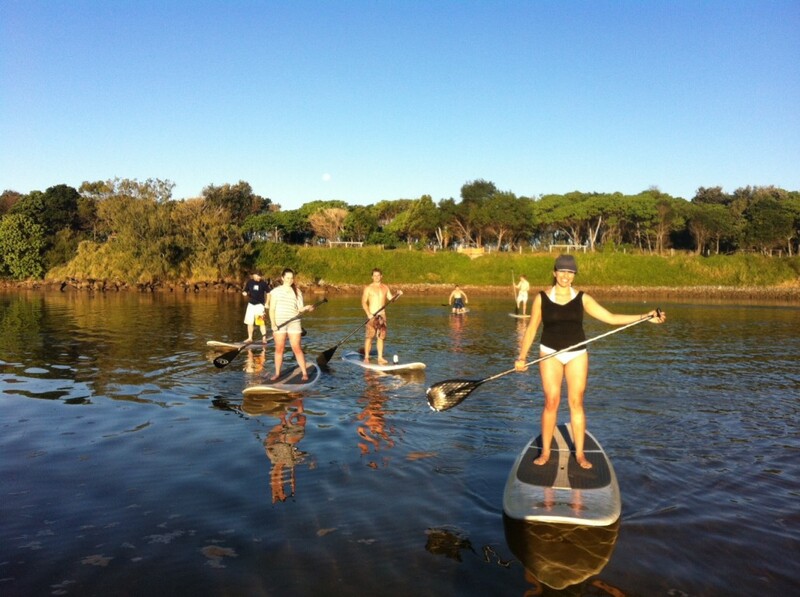 After all the madness of getting their wedding day organised it was the post wedding paddle board that had the wedding party in high spirits, I’m sure the post drinks had something to do with it as well. 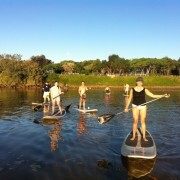 Mr and Mrs Manley and their wedding party including Max the Staff took to the waters of Cudgen Creek paddle boarding and enjoying the post crazy wedding celebrations at Cabarita. 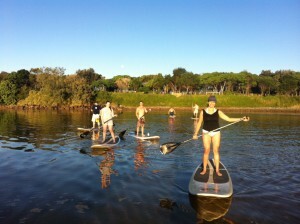 Kayak Hire/Tours Learn 2 Surf Everyday!